Getting it wrong: why is there so much readily avoidable error about? The faintest of all human passions is the love of truth. A classic survey of great battles gives the wrong date for Hastings. A publisher’s cover blurb gets the title of the book wrong. A popular history refers to the tyrant Polycrates of Samos as a ‘Samoan’. In a book by a Pulitzer Prize–winning scholar, ‘Ptolemy’ and ‘Ptolemaic’ are consistently misspelled (and not just by one letter). A military historian, confusing casualties with fatalities, wrongly claims that more than 5500 Australians were killed in one day at Fromelles in 1916. A recent book discusses the ‘Statue of Westminster, 1931’. Error inhabits a spectrum, ranging from mere typos to outright error or wilful misinterpretation. Of course, no published work is ever perfect, none wholly blemish-free. And editors routinely catch many slips, even if they sometimes nod. But why does so much error seem to be slipping through? Has near enough become the rule? Or was it ever thus? And just how much fact-checking should editors do? This talk will be a stroll through some of these issues as Robert Nichols examines the difficulties of ‘getting it right’ in books and exhibitions. 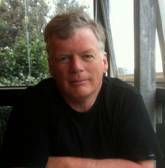 Robert Nichols is Senior Editor at the Australian War Memorial in Canberra. He has edited more than twenty non-fiction books and more than sixty major exhibitions for a variety of museums and galleries. A former teacher and university lecturer, he has a PhD in philosophy. When not working, he will typically be found either reading, playing chess or correcting restaurant menus.